An ode to modern day elegance, Empress Collection reinterprets ancient patterns and ornate designs coalescing to form exquisite patterns. In a contemporary embodiment, these creations offer a reflection of the allure and generous spirit that reign supreme in diverse century empresses. 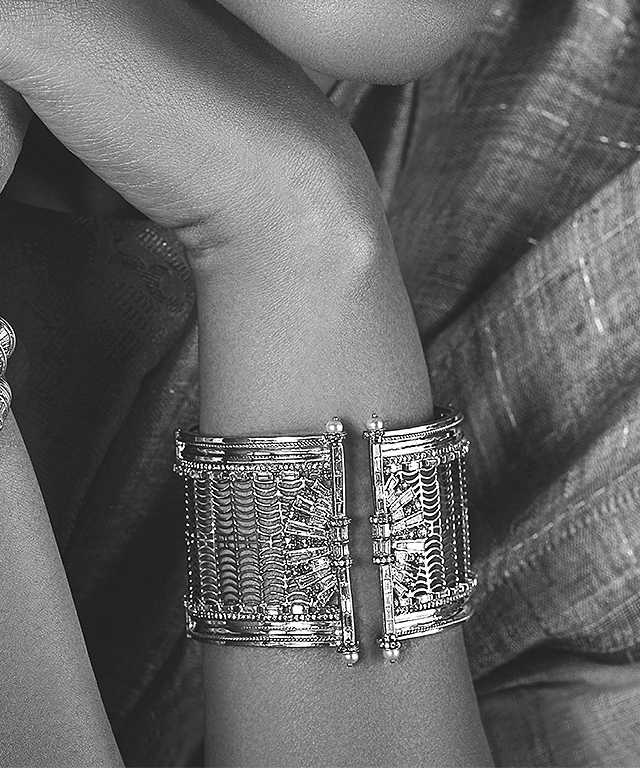 The Empress Collection evokes beauty of a mesh through finely crafted cuff bracelets, as a ballet of diamonds intersperses with a cascade of delicately woven pearls. 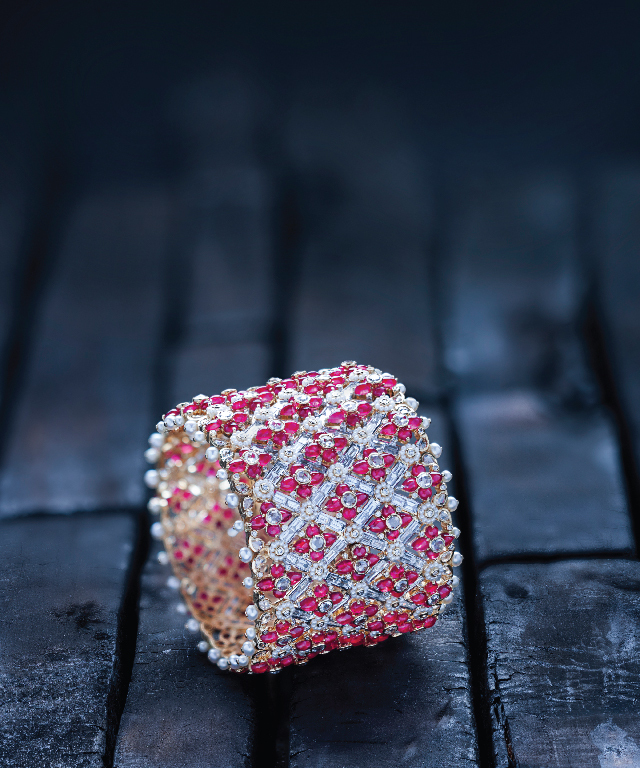 Rich textures interpreted in diamonds evoke mesmerizing patterns with rubies, emeralds and pearls. 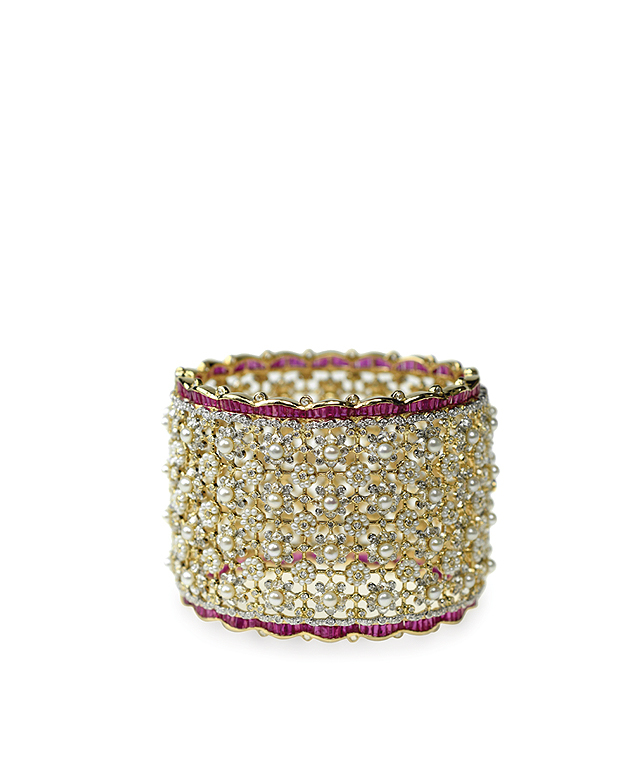 An elaborate tribute to the elegance of Japanese Keshi and cultured pearls along with Burmese rubies, this unique cuff is set with 18.35 carats of round brilliant cut and rose cut diamonds. Rose cut diamonds and baguettes are centred with motifs in round brilliant cut diamonds with a glimpse of Japanese Keshi pearls. 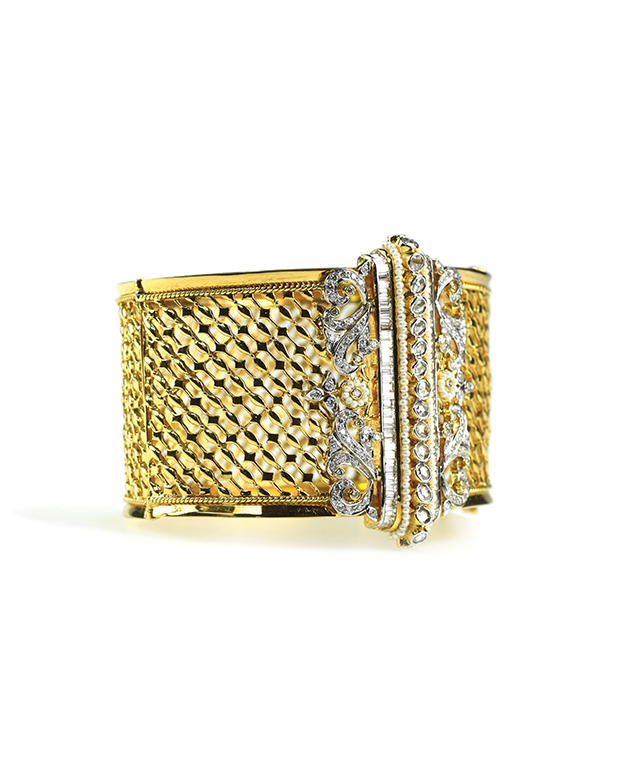 Intricate ornamental patterns encased in gold pays a tribute to rich artisanry in this Empress cuff.